The time is right for the Regional Arts Fund to be increased. The Regional Arts Fund (RAF) is an extensive national program and one of the most successful cultural programs supporting arts and culture in regional, remote and rural Australia. increasing employment and professional development opportunities for, and raising the profile of, regional and remote artists. 2008 the Regional Arts Fund was valued at $22 million across four years. 2012 the fund was half that of 2008 valued at $12.54 million over four years. The fund is currently valued at $13.853,000 over four years (2016 - 2020). Regional Arts Australia is calling for an increase back to $22 million across four years from July 2020. Demand for the Regional Arts Fund is higher than ever with some jurisdictions seeing an almost 70% unsuccessful rate for applications. A substantial increase in funds would facilitate an expansion of the RAF program with financial support, professional networks and institutional connections across art forms, creative industries and geographic locations. The additional funds would increase artistic and creative activity across regional, rural and remote Australia through multi-artform, cross-industry and multi-location projects and professional development. 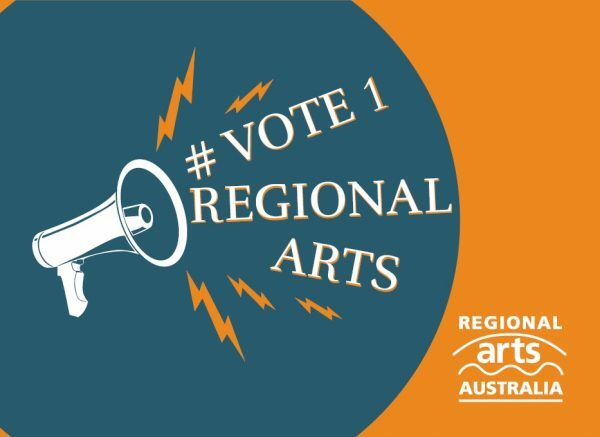 If you want to support our campaign to increase the Regional Arts Fund, click here.